How often should I have my horses teeth checked? All horses require regular dental attention. The age of the horse, type of feed being fed and the purpose the horse is used for all determine how often dentistry should be performed. As a general rule, horses should have their teeth checked and treated at least every 12 months, unless otherwise recommended. Young horses less than 8 years often require six monthly attention. All horses with severe dental conditions require more frequent attention. How often do I need to vaccinate my horse? Horses in this area are generally vaccinated against tetanus and strangles with a single yearly vaccine known as ‘2 in 1’. For unvaccinated horses or those whose vaccination status in unknown, a course of three injections should be given. The first injection is a 2 in 1 followed two weeks later by a strangles only vaccination. A further 2 in 1 is given two weeks after the strangles injection. Yearly 2 in 1 boosters are then required. Foals are given the same vaccination protocol with the first injection being given at 12 weeks of age. If the mare that has foaled is not vaccinated, the foal may also be given a tetanus antitoxin at 1 day old. How often should I worm my horse? Horses should be wormed approximately every six to eight weeks depending on the product used. Some products which are a gel formation can be used less often. Foals should be regularly wormed as well usually starting at eight to twelve weeks of age. It is important to note that worming products differ in their spectrum of activity. Some effectively kill all the important parasites whilst others may not be effective against individual parasites such as tapeworms and bots. What regular attention to my horse’s feet do I need to give? All horse feet require regular attention, however not all horses required shoeing. Regardless, the attention of a farrier should be sought approximately every six weeks. My horse has just eaten a whole bag of feed. What should I do? The rapid intake of large volumes of food containing high levels of carbohydrates can be dangerous to a horse. If your horse has consumed a large volume of feed it is best to contact your vet for advice as immediate medical attention may be required. My horse is rolling around and seems to be in pain. What should I do? Horses that seem to be in pain, roll, paw or look at their flanks may be suffering from colic. Colic is abdominal pain, usually from the gastrointestinal tract and is a serious condition in horses. Urgent veterinary advice and attention should be sought. Whilst waiting for veterinary attention it is important to stop your horse from rolling. It is OK if he is lying quietly, but rolling should be avoided. Be careful not to get yourself hurt however, as a horse in pain is not always aware of its surroundings. The best way to stop your horse rolling is to keep him walking until help arrives. My horse has a sore/weepy eye. What should I do? Sore and weeping eyes should always receive veterinary attention, particularly if only one eye is involved. Conditions of the eye can progress quickly if left untreated and can be serious. How long is the gestation period for a horse? The average gestation length for a horse is 340 days, and ranges from 320 to 360 days. Pony mares often have a slightly shorter gestation. My mare is due to foal. What should I be aware of? The first stage of labour for a mare is often very subtle and may be missed by many owners. It may last for up to 24 hours and is the period during which the mare is preparing to give birth. She may appear restless, slightly sweaty and may get up and down. Some mares will drip a small amount of colostrum. The second stage of labour is when the mare gives birth. It consists of multiple forceful contractions. The foal should be delivered with 20-30 minutes of the sac rupturing (water breaking). Prolonged foaling increases the possibility of problems with the foal and mare and veterinary advice should be sought if the mare has been contracting for 30 minutes without a foal being born. Other signs the mare may be experiencing difficulties include evidence of strong contractions with no progression of the delivery process with in 10 minutes of rupture of the sac or the presentation of hind feet or upside down feet. The third stage of labour is the expulsion of the placenta and is regarded as being normal if it occurs 30 minutes to 3 hours after the foal has been born. It is important to ensure that the entire sac has been expelled intact. If the mare has not passed the placenta within 3 hours of giving birth or it does not appear intact, veterinary advice should be sought. Foals should be alert shortly after birth and should quickly make attempts to stand. A normal foal should be on its feet within 45 minutes of birth. It is imperative that foals suckle from their mothers in the first few hours of life as it is during this time that they receive colostrum and the antibodies they need to fight infection. A foal should be suckling within 2 hours of being born. Foals should be bright and bouncy. Foals can become sick quickly and deteriorate even quicker. 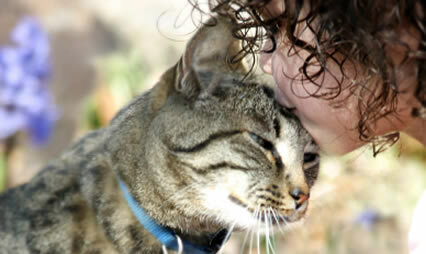 It is important that you seek veterinary advice if you are at all concerned. Why does my horse have runny eyes all the time? It is abnormal for a horse to have runny eyes all the time. In a normal eye the tears produced drain via the ‘naso-lacrimal’ duct, which runs from the inside corner of the eye down to the nostril. If your horse constantly appears to be ‘crying’ then there may be an increase in tear production or a problem with the naso-lacrimal duct. The naso-lacrimal duct can occasionally become blocked for various reasons. To name a few examples; debris from the environment, growths such as squamous cell carcinomas or Habronema (parasite), or previous injury and subsequent scar tissue can all potentially lead to a partially or completely blocked tear duct. An increase in tear production can be due to chronic irritation. This can occur from irritants such as dust, which can then progress to conjunctivitis. Growths in the eye, such as squamous cell carcinomas, can also cause an increase in tear production. Eye ulcers can cause a teary eye but in these cases the eye will also be painful. A horse with a painful eye will blink excessively and partially or completely shut its eye. If your horse has a painful eye you should call your veterinarian immediately. Equine eye ulcers have the potential to develop into devastating melting ulcers within 24 hours so these must be treated seriously. Runny eyes are abnormal so it is recommended that you have your veterinarian examine your horse if this is occurring. Why does my horse not want to flex to one side? If your horse is reluctant to flex to one side when being ridden it could be behavioural or a lack of training. However if your horse has previously been willing and able to flex to both sides and this suddenly changes it is possible that there is pain causing the resistance. Pain anywhere from the mouth all the way along the spine can result in a reluctance to flex. Your veterinarian will be able to diagnose dental issues and pain arising from skeletal or muscular origins. One example of this could be overriding of the spinous processes of the thoracic vertebrae causing pain. This can be exacerbated when riding and potentially when the horse is asked to bend and flex to one direction. If you suspect pain as the cause of your horse’s flexion avoidance you should call your veterinarian. Why does my horse…….have sloppy manure sometimes? Parasites – intestinal worms cause irritation and inflammation in the intestinal wall as they emerge from their cysts and feed. This inflammation reduces the intestines ability to absorb fluid. Sand – Horses kept on pastures with a sandy soil can ingest variable amounts of sand. Sand is heavy and remains in the intestines causing irritation and inflammation. Inflammatory Bowel Disease (IBD) & Intestinal Neoplasia – These conditions can occur in older horses and must be considered if other causes are ruled out. Sloppy manure can also occur if the normal bacteria within the intestine are disrupted. This can happen for example if your horse’s diet is suddenly changed. In this case the bacteria need time to adjust and this is why new feeds should be introduced slowly. Horses that are particularly prone to stress can at times pass a sloppy manure when faced with a stressful situation. However in these cases it should only be a one-off and then they should pass normal manure. If your horse is passing watery diarrhoea or is consistently passing loose manure please contact your veterinarian immediately as this can be a life threatening situation. If your horse is passing the occasional sloppy manure please contact your veterinarian to discuss potential causes, preventatives, and treatments. Why is my horse touchy around the ears? If your horse is sensitive when you touch around its ears it will either be a behavioural issue or due to pain and discomfort. Unfortunately, the vast majority of ear shyness stems from behavioural issues, meaning there usually isn’t a quick fix. These horses need patience, repetition, and understanding to help gain your horse’s trust and respect. Luckily medical causes of ear shyness are rare but may be considered if there is a sudden onset of avoidance or if only one ear is seemingly sensitive. If this is the case, examine the ear/s for any signs of cuts, painful lumps, increase in discharge, or external parasites such as ticks. If you suspect a medical cause for your horse’s ear shyness be sure to contact your local veterinarian. How do I tell if my horse’s back is sore? The signs your horse may show when suffering from back pain can be wide and varied and may be subtle or overt. The above points are only a few of the potential signs your horse may show and any signs must be interpreted in light of other possible causes such as behavioural problems or pain in another area. A history of trauma such as a floating accident or rearing up and falling over backwards can be useful but problems from such incidents can take years to manifest. To diagnose a horse with back pain please seek the attention of your regular veterinarian. The source of your horse’s back pain can be diagnosed via skilled palpation, radiographs, blood tests showing elevated muscle enzymes, scintigraphy or thermography to name but a few. Why do my horse’s legs swell when it rains? Generalised swelling in your horse’s legs is a result of an increase in fluid in the subcutaneous tissues. This will either be due to inflammation or as a result of decreased drainage in the venous and lymphatic systems. The most common cause of swollen legs during wet periods is due to decreased movement. The venous and lymphatic systems rely on movement and muscular contraction to help move fluid up the legs against gravity. When your horse is more sedentary during wet weather there is a build-up of fluid in the venous system and a decrease in lymphatic drainage resulting in excess fluid in the subcutaneous tissues of the leg. The swellings should be mild, with no heat, and are typically non-painful. This can be likened to people getting swollen ankles when flying long distances. If your horse has had an injury to the lower limbs previously this can also affect the efficiency of the lymphatic system and your horse may be more susceptible to swollen legs. There are several medical causes of swollen legs. ‘Greasy heel’ can be instigated or exacerbated by wet weather and will result in inflammation (cellulitis) of the lower limbs and resultant swelling. This swelling is typically hot and can be painful. Vasculitis is inflammation of the blood vessels in your horse’s legs and will result in an increase in fluid leakage from blood vessels. This condition is not directly related to wet weather but can be secondary to greasy heel or systemic infections. Even the most caring pet owners are often unprepared for the fees associated with pet accidents and emergencies. These unexpected costs can be controlled with pet insurance. With the protection comes peace of mind. Our staff can provide further information.